If you are looking for the best translator for your iDevice, this article can suggest you 5 best translators for your iPhone & iPad. These apps are very useful and allow you to translate almost all international languages into your language. Check out these useful translators for iPhone & iPad. 1. Google Translate ( iPhone & iPad ) – One of the most powerful translation services on the web. This is an official app of Google translation service that lets you translate any language in more than 103 languages. Just speak any word or sentence and this app will translate your sentence. You can also listen to your translation spoken aloud in 29 languages. 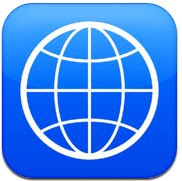 2. iTranslate Voice ( iPhone ) – One of the best translators for iPhone devices and it supports 42 languages. With this app, you can easily translate any content to your language. Very useful app that is integrated with some unique features such as voice to voice translation , translation sharing option and more. Just speak any sentence to your phone and iTranslate Voice will reply in 36 languages. 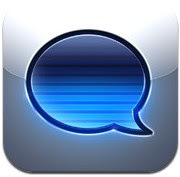 Recommended app for your iPhone to instantly speak in other languages. 3. iHandy Translator Pro ( iPhone ) – One of the most powerful translation tools on the app store for iPhone devices and it comes with some useful features such as – text to speech feature, history tracking option, social integration, powerful search etc. Powerful translation tool that supports 52 international languages. 4. 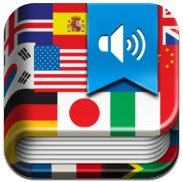 Translator For Speech ( iPhone ) – If you want to speak any unknown international language but don’t know how to speak, this app would be the best option for you because the app helps you translate 17 international languages into more than 70 popular languages. You can also learn the pronunciation of any translated word through this app. Great app if you are planning to visit any international tourist places. 5. iTranslate Free Translator ( iPhone ) – One of the best free translation apps on the app store that can be used to translate more than 60 popular international languages. Great free app that comes with lots of features such as powerful dictionary, text to speech , translation sharing option and voice recognition feature. One of the most popular free translation apps on the app store.